Stamped concrete designs are becoming one of the most popular options for both indoor and outdoor projects because of the durability, permanence, and low cost as compared to other decorative paving materials. 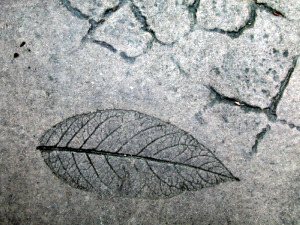 Stamping concrete is the process of imprinting a texture into the concrete before it dries. Most often, the imprinted texture mimics the look of natural stone.The most popular uses for stamped concrete are for patios, pool decks, driveways and walkways. It has recently become favored and "green" to use stamped concrete for interior floors in homes because it resists water well (hardwood floors always have the problem of deterioration under water spills) and it's more allergen-friendly and cleaner than carpet. Quick Installation - Takes 1 1/2 to 3 days versus several weeks for natural stone or brick. Unlimited Design Options - You can achieve almost any look imaginable - Can be made to look like natural stone, brick, wood or marble. Texture Adds Traction - Stamping provides additional traction when paving on a slope. The texture of stamped concrete can also prevent slips or falls, thereby improving the safety of public walkways. Beautiful! 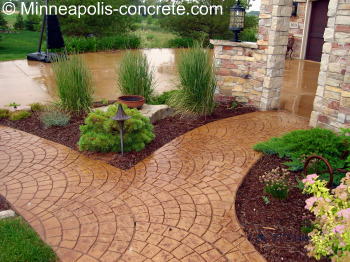 - Stamped concrete can blend with almost any type of architecture. 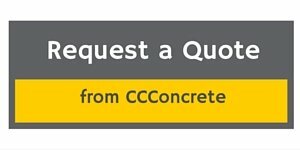 Customization - Graphics, logos, or designs may be added to your concrete. Add your logo to the front sidewalk or flooring of your store front or business. In your home or cabin, choose imprints that complement the designing style. For example, place bear or deer paw prints on the sidewalk or pool deck of a cabin or resort. The sealer will wear off the concrete every few years. If it's a heavily used area such as a driveway or pool deck, sealing may be needed more often. You will know it needs sealing when the color starts to dull. Do not over-seal. Even though it looks nice after sealing, over-sealing can cause water coming up through the concrete to get trapped and cause a white look on the surface. If this happens, the sealer must be thinned out or completely removed. If the concrete gets damaged, it's not easy for any contractor to fix because they don't know what products and colors were used. It's best to have the original contractor do the repairs. Choose a Color for your stamped concrete project. 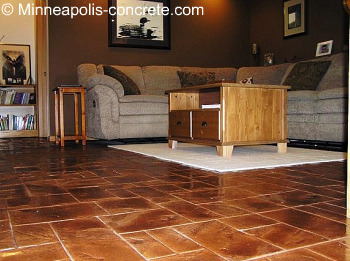 Choose a Stamped Concrete Pattern. Learn How to Stamp Concrete. Learn how to maintain your stamped concrete by Sealing the Control Joints. 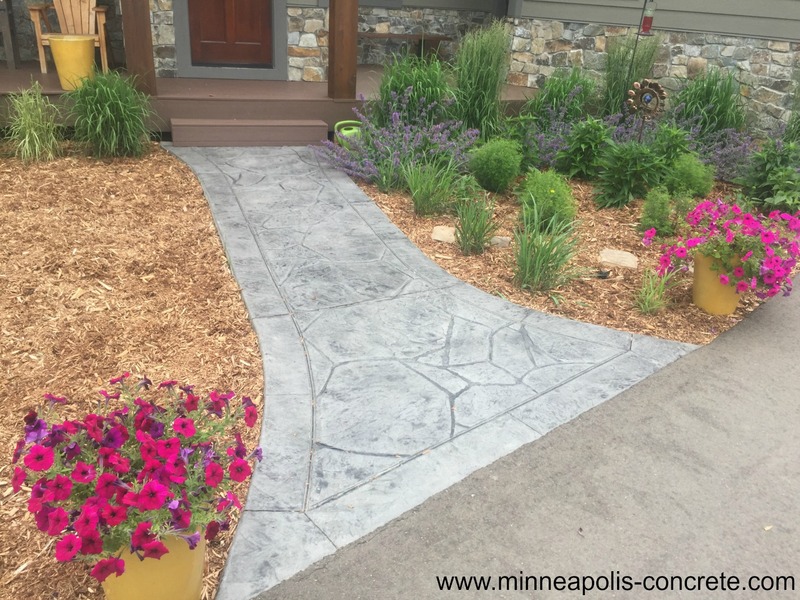 If you live in the Minneapolis and surrounding suburbs area, request a quote on your stamped concrete project.